Leicester City manager, Claude Puel, has opened up on reports linking his star player, Riyad Mahrez, with a move away from the King Power stadium. Mahrez had been linked with a move to Liverpool to replace Coutinho and also Arsenal to replace forward, Alexis Sanchez if he eventually leaves the Emirate club. Puel feels that if the Foxes were to ever sell the Algerian international, it should command a huge fee. “It is speculation and we cannot respond to all the speculation with information,” he told a press conference ahead of Tuesday’s FA Cup. “We can see Riyad smiling and enjoying his football and enjoying playing with his teammates and it is the same in training. “After the training session, he continues to play head tennis, and I want him to get more rest. 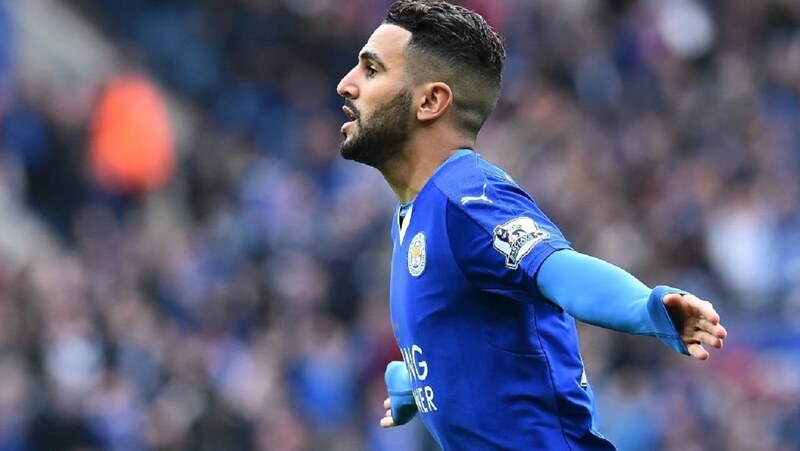 The Foxes boss may rest Mahrez for Tuesday’s FA Cup’s third-round replay against Fleetwood.